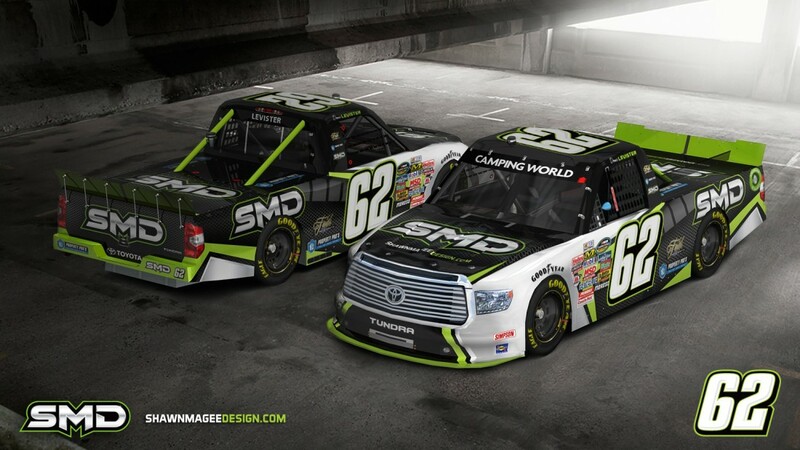 SMD created a NASCAR paint scheme design promoting, for once, our own brand. 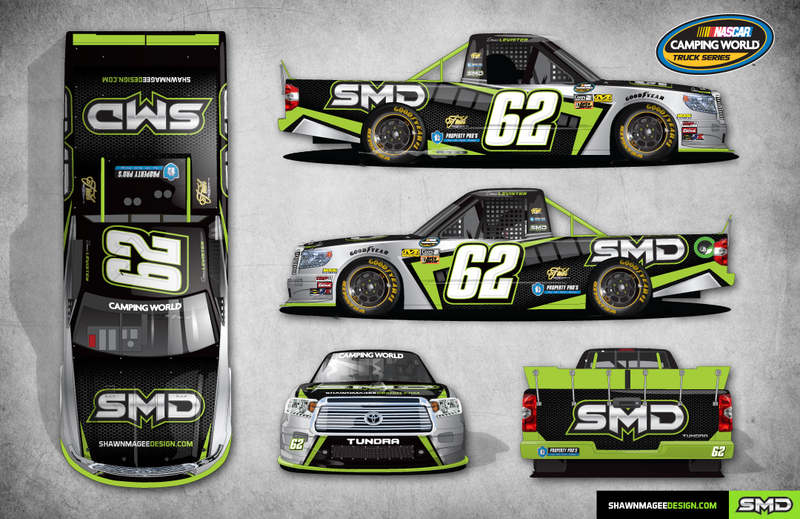 As the official graphics partner of Faith Motorsports, SMD will appear as the primary sponsor on the #62 Toyota Tundra through the 2016 racing season. The paint scheme utilizes the aggressive look established throughout the current SMD brand. The exposure in one of NASCAR’s top tier will be tremendous for brand exposure and promotion.